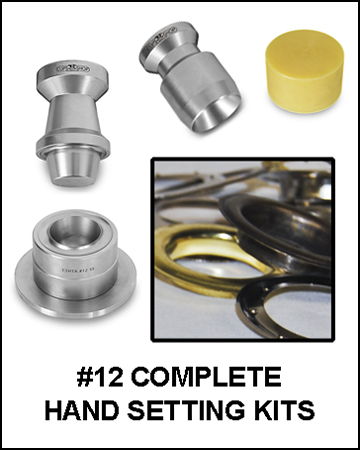 Buying a #12 grommet kit is an easy way to purchase all the components needed for your project in one complete kit. 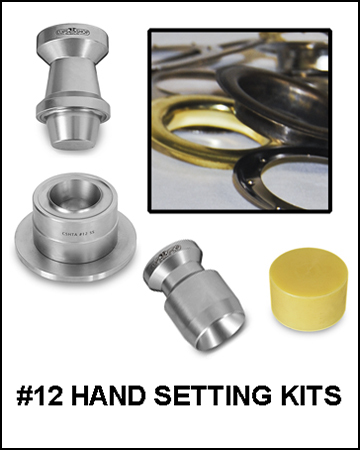 There are two types of #12 curtain grommet hand setting kits available - the "Complete Kit" or the "Starter Kit". 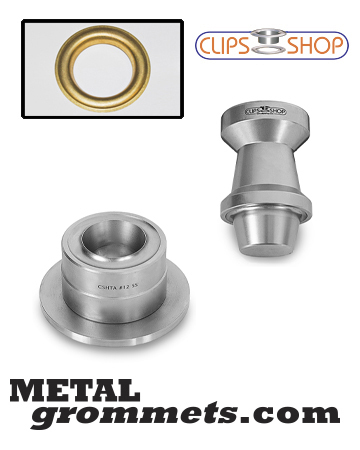 Each kit is available in two sizes - either 25 sets of #12 grommet/washers in a choice of colors or 100 sets of #12 grommet/washers in a choice of colors. 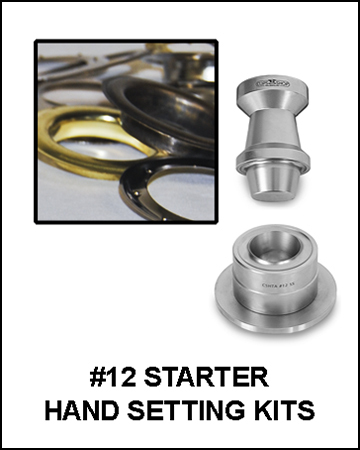 The "Starter Kit" includes the grommets, washers and two-piece stainless steel hand setting tool. In order to use a starter kit, you must have pre-pierced holes or some other method of cutting the holes in your curtain, drapes, tarp, or other material. The "Starter Kit" does not come with a cutting tool. The "Complete Kit" comes complete with the grommets, washers, two-piece hole cutting tool and two-piece hand setting tool. Use one set of tools to cut your holes and use the other set of tools to set your grommets. With either kit, you will also need is a heavy mallet. A mallet, with its larger head, is much better than a hammer. 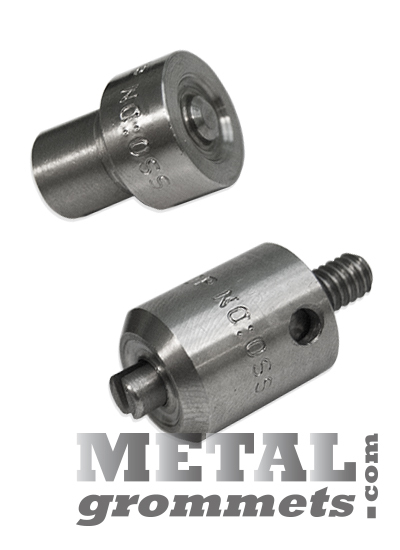 The goal is a hard blow evenly on the entire surface of the tool. The small head of the hammer makes it very difficult to achieve good results. If you have a mallet then you are good to go. If you need a mallet, there are many available at your local hardware store or we offer one here.